Explore the depths of the Amazon Rainforest in Peru at a remote eco-lodge in the Manu Biosphere or Puerto Maldonado regions. 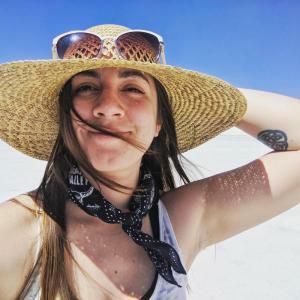 Or opt for a river cruise on a luxurious small cruise ship that embarks in Iquitos and floats down the mighty Marañon river spotting monkeys and stopping at indigenous villages and taking hikes through the lush, bio-diverse rainforest. Contact one of Adventure Life's Peruvian rainforest travel specialists to modify any of the below hand-selected tours to your exact needs. Explore the beauty of the Rainforest on a trip to Manu Wildlife Center in Peru. Watch as tapirs and macaws feed on clay licks, boat down the river and search for nocturnal animals like the caiman on this 6-day adventure. Travel to the remote Amazon Rainforest on your trip to Peru. Watch in awe as woodpeckers, tanagers, macaws, toucans and parakeets fly around the treetops on this 5 day adventure at Manu Wildlife Center. 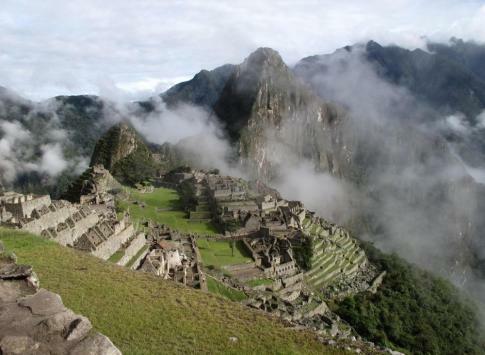 Travel along the border of Peru and Bolivia to experience the wonders of the Amazon Rainforest. Visit macaw and mammal clay licks, take a canoe tour around Cocha Guacamayo and search for a family of giant otters on this 5 day tour at Heath River Wildlife Center. Experience the wonder of the Amazon Rainforest on this 4 day tour. Go on the Anaconda Walk, search for wildlife and explore a rainforest garden during your stay at Reserva Amazonica. 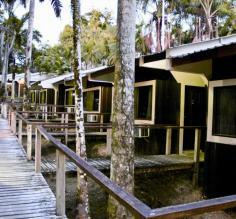 Explore the Peruvian Amazon on this 5-day Ceiba Tops Lodge trip. Travel 25 miles downstream on the Amazon River to your beautiful sanctuary lodge with air-conditioned cabins and hot water showers. Observe Amazon wildlife and vegetation from a 115-foot Canopy Walkway, an unequaled experience! Visit the Peruvian Amazon Rainforest on this 4 day tour. Observe the wildlife, relax by the lake and enjoy scenic views during you stay at Sandoval Lake Lodge. 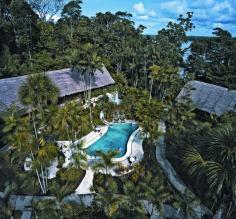 Explore the Amazon Rainforest at the Posadas Amazonas. Iquitos is the inland port city for all of our Peruvian river cruises of the Amazon rainforest. You will embark in this big city on the border of the jungle and experience the rainforest from a truly unique perspective aboard one of the boats that we have carefully chosen. These hand-picked hotels & lodges have been chosen for their exceptional service, local personality, and easy access to the top attractions in Manu. These hand-picked hotels & lodges have been chosen for their exceptional service, local personality, and easy access to the top attractions in Iquitos. Located inside the Tambopata National Reserve, 25 minutes river trip from The Mother of God, Sandoval Lake Lodge is located on one of the most beautiful lakes in the jungle of Tambopata and all of Peru. 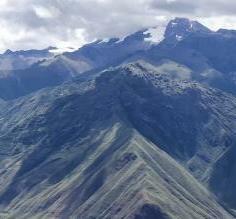 Only a 30 minute trip from Cuzco. 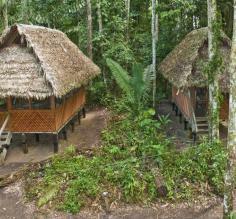 Manu Wildlife Center (MWC) is located in the remote and wild Manu Wilderness of Southeastern Peru. Amidst spectacular forest and incredible scenery, the density and diversity of animal and plant species reach a peak in the extreme western Amazon, near the foot of the Andes. From the moment guests arrive, when they're greeted with a welcoming drink and a refreshing cool towel, they're provided impeccable individual attention.